Trellis fans, ready to switch allegiances to Nisi, chatted in small groups before the opening. 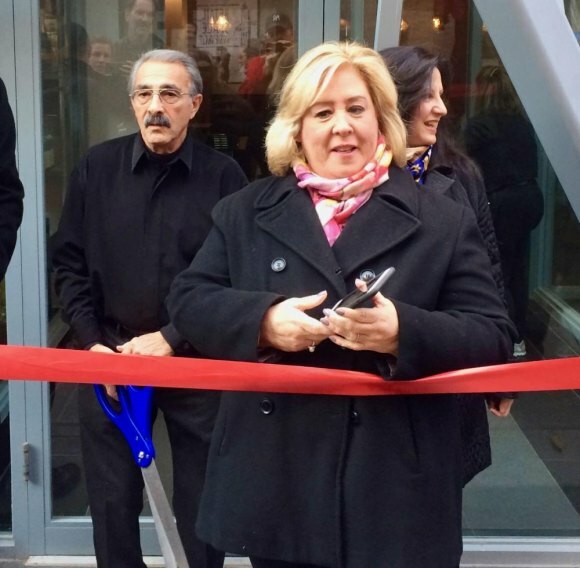 A year ago, today, the morning on Roosevelt Island was uniquely filled with events, as two ribbon cuttings drew local, then international audiences. Kaie and Alexander Razaghi welcomed all comers for Nisi's long awaited opening as a restyled replacement for Trellis. 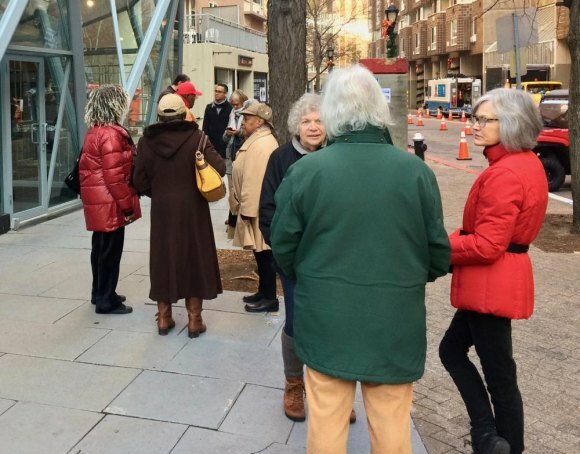 An eager crowd waited for first day breakfasts until City Council Member Ben Kallos literally ran up Main Street to make sure he was on time. He had to be. 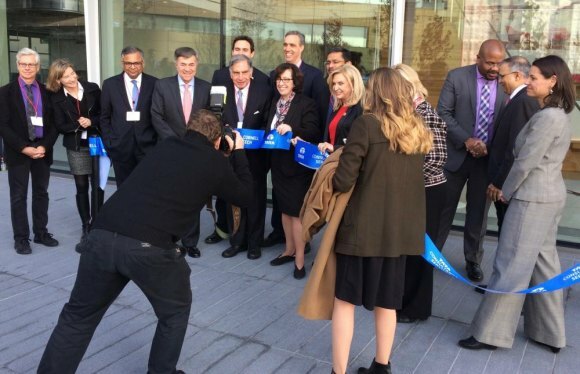 He brought the scissors with him, and there could be no ribbon cutting without him. 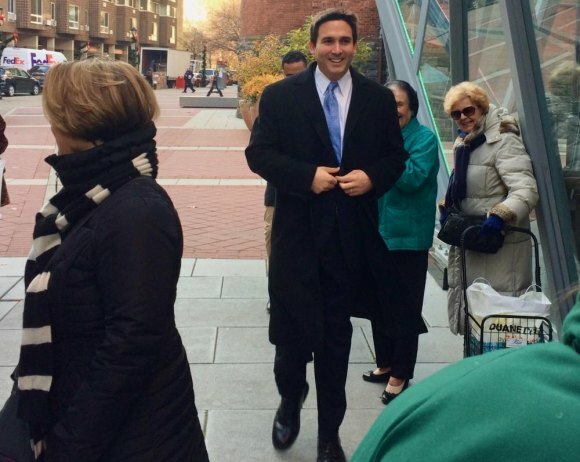 City Council Member Ben Kallos catches his breath after running up from the subway. State Assembly Member Rebecca Seawright got ready as Kaie Razaghi stood at the ready with scissors Kallos delivered. At last, it was done. 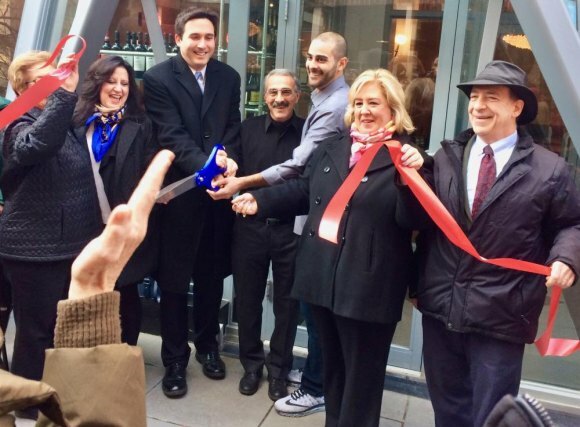 After three plus years, Nisi opened its doors again on Main Street. 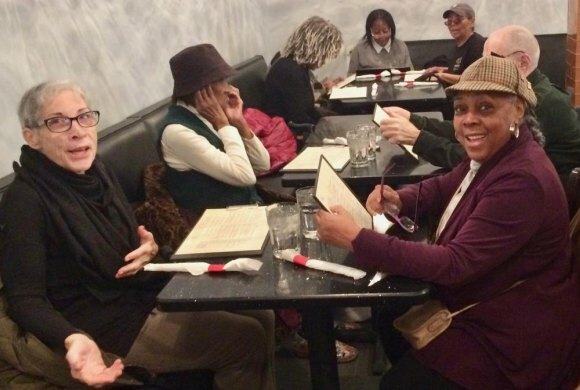 While the politicians hustled south to Cornell Tech, customers Wendy Hersh and Mary Coleman settled in at Nisi. A sigh of relief warmed Main Street. Cornell Tech promised big news and came through as the Tata Innovation Center was born as the next incarnation of The Bridge, the schools nexus of innovation. The Tata Group's investment was a significant step in accelerating Cornell Tech's role as an internationally impactful innovator forward. 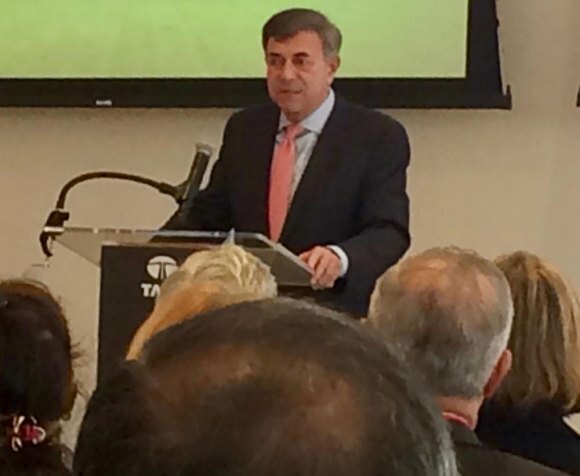 Cornell Board Chair Robert Harrison announces the Tata Group's transformative $50 million investment in the campus. 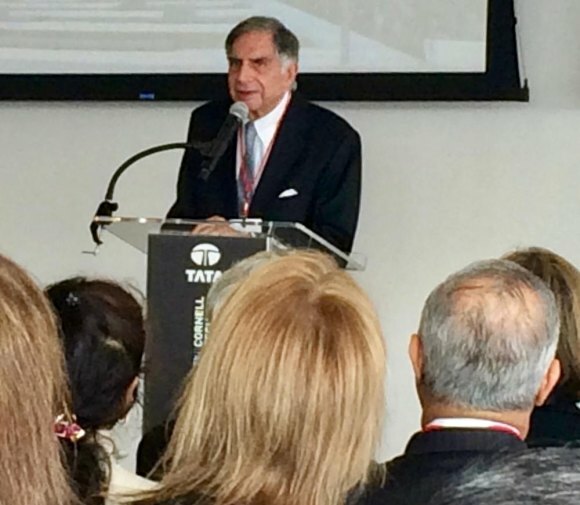 Ratan Tata, Chairman of the Tata Group, explains why his company chose to spur Cornell Tech forward. 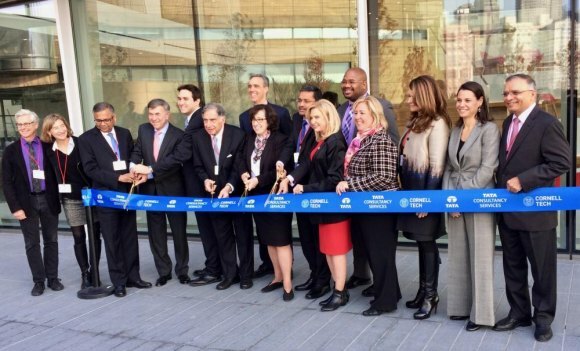 Everyone who could fit in the picture joined Harrison and Tata for multiple cuttings of the ribbon as Tata Innovation Center is born. At the end of a landmark day for Roosevelt Island, dignitaries relax as the media rolls in.